Official Contacts: Aam Aadmi Party (AAP) contact details - How to donate for AAP? Aam Aadmi Party (AAP) contact details - How to donate for AAP? 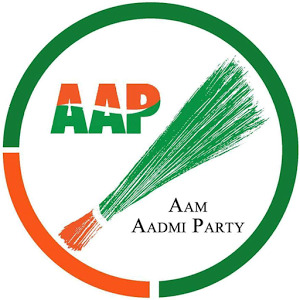 Aam Aadmi Party(AAP) is a Political party in India under the leadership of Arvind kejriwal. AAP was an out come of INDIA AGAINST CORRUPTION movement lead by Anna Hazare that sought to mobilise the masses in support of demands for a less corrupt society in India. Later Arvind kejriwal Announced the formation of Aam Aadmi Party and they took on the Delhi State Assembly elections. They got 27 seats and formed government with support of Indian national Congress with Kejriwal as the Cheif Minister. He governed for 49 days. How to Donate for AAP? If you find any of the contact information given here as incorrect or the urls given here points to an incorrect or broken page, please notify us using the comment section given below. You may also post your suggestions as comments. Thank You for visiting this page. For latest updates, please visit our Home page or visit similar posts listed at Help, Institutions, Recent Posts pages.